Website development is a techie kind of job, but it’s in high demand now. The online presence is becoming the most important aspect of any business, big or small. And, they all turn to Web Developers to make their websites. If you are a techie geek with skills like HTML, CSS, PHP and coding, then you can easily make good money working from home. The pay for this service varies depending on experience, type of project or client. If you are good with your networking and social media skills, then you can look at this as a side hustle. There is a lot of buzz around this service as the social media world becomes more and more varied. With so many social media platforms coming up, more and more businesses require people to manage their social media accounts. I have a social media freelancer to my Amazon websites. Pay for this service might depend on the number of platforms you handle and can vary from $50 – $150 per profile. You can charge per post or social media profile. This field is in high demand, and it is for those who have reasonably good typing skill and patience to hear audio files. Of course, you would need to have good grammar, spelling and know your way around uploading and downloading files. The nature of work would require to hear audio files and transcribe them. Sometimes, the audio files might be unclear and slightly hard in accent; this gets better with time. But most of the companies do hire beginners or newbies. The pay for this job might range from $10 to 50$ per audio hour. The more experienced you become, the more pay you can get. Tutoring can be a very good paying job. In some cases, you would need to be specialized in some subjects, but in recent times, there is high demand for teaching English to students in countries like China, Japan, Singapore, etc. You need to be a native English speaking person, with strong grammar and fluency. If you are specialized in subjects like Mathematics, Science, etc., it can be more rewarding. The pay can range from $10 to $100 per hour if you are teaching more specialized subjects. These jobs are more location specific but are work from home or remote jobs. You can be a Call Center Agent, Virtual Customer Service Agent, Market Interviewers, etc. There are many positions available, but the basic necessity for these jobs would be a bit of experience in the field, and pleasant demeanor as the work involves customer interaction. Pay varies with the company but usually, is in the range of $15 to 25$ per hour. You might think Proofreading is for professionals; it’s not. You can do general Proofreading if you have some qualities like having a keen eye for detail, able to spot some errors in documents, strong focus on the work. The nature of the work is to find any mistakes in the transcripts or records. The top most important quality for this job is a strong eye for detecting errors. The average pay for the proofreading is $0.35 per page. It might look very less, but it gets better with speed. The average income per hour for beginner proofreaders can be around $18. You need not be a professional writer for trying writing gigs. Writing jobs were not as many as they are now. You can start writing short blog posts, short reviews or brief articles for bloggers, companies, etc. There is no need to be an expert at writing, as it develops with time and practice. Most of the successful bloggers around are not expert writers, but their blog posts are the most commented or viewed. The topics that you can write about can range anywhere from lifestyle, blogging, personal finance, fashion, etc. These writing gigs can give you a decent pay of $50- $200 per post/article. This is the relatively easier job which you can do from home. Search Engine Evaluators or Web Researchers are people who do web researching or rating the websites for the given set of guidelines. It might sound a little technical, but it’s not, you will have to know your way around the web, browsers, etc. There are quite a few companies which are offering this position even for international workers. The salary range is different for different countries for this role, and presently the pay is $15 per hour in the United States. Well, I have saved this for the last because I am doing this. Some might debate that this is not something which can get you an income, but that’s not true. Many bloggers make a decent income with blogging about things they love. 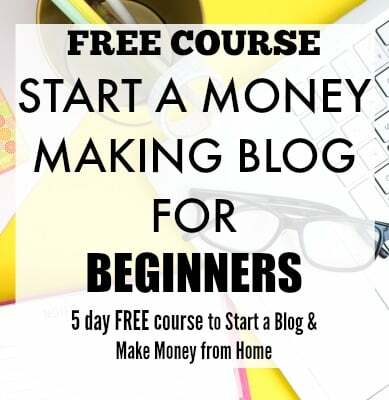 There are big names in the blogging world who make insane income, and there are bloggers who are just starting out and make a healthy living. The main key to blogging is you talk about the topics you love, be consistent and provide value to readers. The money you make from blogging is entirely dependent on your hard work and niche selection. I will be talking more about freelancing/remote opportunities and blogging in my future posts. What other services/jobs do you know which are remote? This is true! Some startups allow all their employees to work remotely, so you can even be a project manager or digital strategist! Yeah, not many know that even the higher job positions in the corporate structure have remote options. Telecommuting is becoming the future. Great article! Love all the different options, I’m even trying some myself! Thanks, that’s great you are working from home, it rocks right!! Love your blog design!!! Lots of my friends are into web development and web design and search for working from home options. Hope this post helped you. I would love to work from home, great tips! There are many more options and proofreading and transcription are a couple of them. Hope this list helped. Thanks, I love the balancing act!! Great ways to work from home! 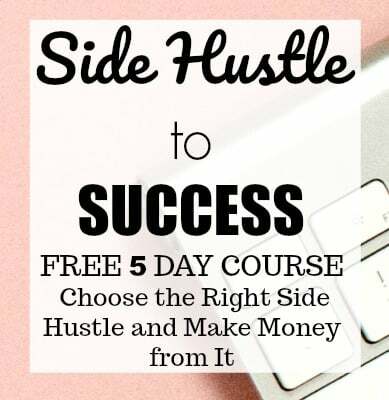 You could also add in marketing-affiliate and networking as they are like blogging-depends on how much you work at it to make the cash, but some people are killing it in the marketing industry working from their laptops! I agree Affiliate marketing is quite big and it does make a good stream of income for bloggers. I will look into affiliates at a later stage. The possibilities are endless when you work online. 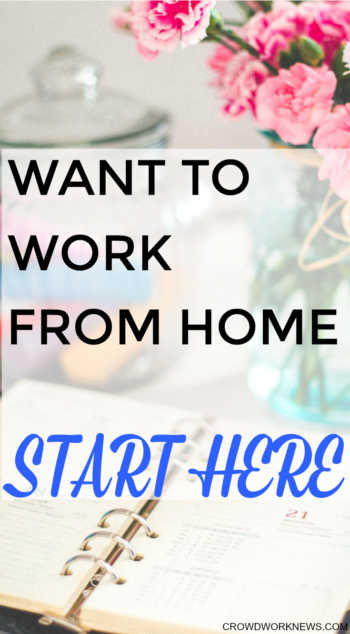 This is a great list of options for folks who want to work from home – blogging is my favorite because there are so many different ways to earn with a blog. Wow, it’s an honour getting a comment from you!! Working from home was always my option and now I am getting into blogging. Will surely learn a lot from you. I tried transcribing and didn’t enjoy it. Giving blogging and writing a try now! I love the idea of making money from home and I love writing, so fingers crossed this idea works out for me better than transcribing did! All the best for your blogging journey, hope it works out. Thanks, there are many more opportunities and most of them do not need much equipment. Great article. You’ve listed some really good ideas here and explained them very well. Thank you for sharing! Subscribed! Thanks, happy to hear you like the post. Hmm .. I’ve never heard of search engine evaluator before but now I am curious to do some research on it. Thank you for sharing this list! Happy this post showed you some new things to consider. Good read. These kind of articles actually gets us keep moving! Thanks!! Blogging is my favorite way but I also do a lot of freelance writing. Working from home is the best! Blogging is becoming my favourite too!!! I love the flexibility of taking care of the work and family at the same time. I would not change this for anything. Thanks. Happy to know you found your way of making it work staying home. Your weight loss pictures look very inspiring!! Great list! Don’t forget about direct sales (Thirty-one, Jamberry, etc) as a work from home option. This is great for stay-at-home moms and now you can even do Facebook parties instead of home parties, which allows you to gain a larger customer following. Thanks. There are so many options to work from home, I am still exploring more every day. I have heard of Facebook parties, seem like a nice opportunity for followers.